Brady Hoke is the next Michigan head coach. This means the end of Denard Robinson who will transfer in 25 minutes or so. It also means the end of the spread offense and any hope for the future. 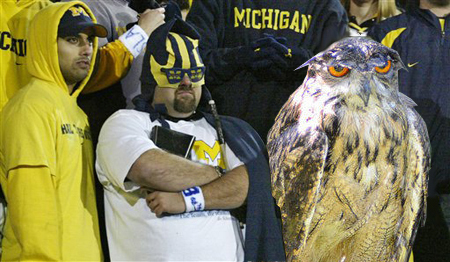 Michigan is going paleolithic on the Big Ten. We just hired a head coach that is 47-50 in his career. Dave Brandon should be put in shackles and set adrift. This is unacceptable. maybe wait and see what he can do first? Is John Beilien fireable this year? If not Harbaugh, then who?